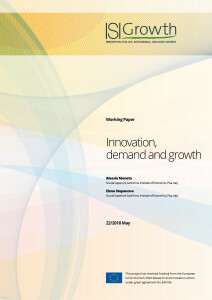 The attached paper, titled “Changes in consumption patterns and innovation: an empirical analysis” was written with the aim of addressing the empirical part of the Task 6.1 of ISIGrowth, which is devoted to study the interactions between innovation, demand generation and aggregate growth. The general goal of Task 6.1 is to investigate the conditions under which higher rates of innovation lead to more sustained economic growth by stimulating aggregate demand instead of yielding labour displacement and income inequality. In particular, the deliverable 6.1 was designed to investigate the link among innovation, changes in marginal propensities to consume and inequality using data-driven methods. This allows us to understand whether changes in demand patterns may, in turn, hinder economic growth via income redistribution against households with higher marginal propensities to consume. Thus in the attached paper we employ panel vector-autoregressive models to analyse the dynamic interdependencies among (i) innovation activity as measured by patent applications across sectors, (ii) households marginal propensity to consume across expenditure categories, as measured by Engel curves derivatives and (iii) inequality in ex- penditure patterns across income. We have used British data on household expenditures, from U.K. Family Expenditure Survey and the Expenditure and Food Survey data, as well as Amadeus data on patent applications. The original idea was to use Eurostat data, i.e. 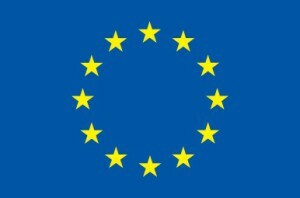 Community Innovation Surveys (CISs) and the European Community Household Panel (ECHP). Unfortunately, econometric analysis through vector-autoregressive models is only possible on availability of annual data for relatively long time-periods, that is why we were not able to use CIS surveys data on innovations, which are available only for 7 years. Moreover, ECHP data did not permit us to estimate Engel curves, which we realized to be the most reliable way to estimate marginal propensities to consume. Thus we used on British household budget data, which relied on surveys conducted between 1968 and 2013. In future, we plan to extend our analysis using household budget data and patent applications from other European countries (Germany and Italy in particular), depending on data availability.